With about 450 lakes and streams open to public fishing, deciding where to fish in Nebraska can sometimes be challenging. Our annual fishing forecast can help. 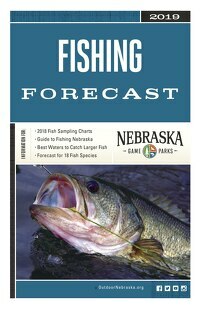 The forecast contains research statistics and graphs to explain sampling information for important sport fish species sampled across Nebraska from the previous year along with useful tips from our fisheries division staff. Discover the best waters to fish for a particular species and other useful tips. Below is a breakdown of the annual fishing forecast by species. 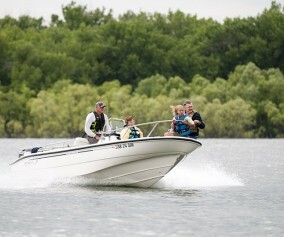 Nebraska’s largest reservoirs are the state’s best walleye habitats and consistently provide the best fishing. Merritt Reservoir tops that list again this year, while other perennial favorites like Winters Creek, McConaughy, Elwood and Minatare also will be good. Oliver, Big Alkali, Johnson, Maloney and Calamus will offer numbers of mostly small walleyes in 2019 with some fish topping 15 inches. Anglers targeting big walleyes should plan trips to Merritt, Elwood, and McConaughy. Smaller reservoirs in eastern Nebraska are less ideal as walleye habitats, but stocking does provide anglers with opportunities to catch walleyes from those waters. Yankee Hill, Lawrence Youngman, and Walnut Creek reservoirs will be the best waters to catch eastern Nebraska walleyes in 2019. White bass also are open-water predator fish that thrive in Nebraska’s largest reservoirs. The best white bass fisheries in 2019 will be found at Davis Creek, Swanson, Sherman, Calamus and Harlan reservoirs, some of the best every year. Medicine Creek reservoir will have high numbers of white bass, but most of those fish will be smaller than 12 inches. Canal reservoirs from Sutherland down to Johnson traditionally have some good white bass fishing and Sutherland will be the best of those this year. Big white bass can be found in waters that have lower densities, so besides the reservoirs already mentioned, look to Minatare for some white bass larger than 15 inches this year. Smaller reservoirs are not ideal habitats for open-water white bass, but East Twin will offer anglers some opportunity to catch white bass in southeast Nebraska. Wipers are white bass/striped bass hybrids, and like their parent species, they also are most successful in open-water habitats – Nebraska’s largest reservoirs. Johnson, Red Willow, Medicine Creek and Jeffrey reservoirs will offer the most wipers for anglers in 2019. High numbers of wipers were sampled at Harlan, Swanson and Davis Creek reservoirs, but most of those fish are going to be relatively small this year. Anglers looking for trophy wipers in 2019 will find Elwood, McConaughy, Red Willow and Calamus hard to beat. 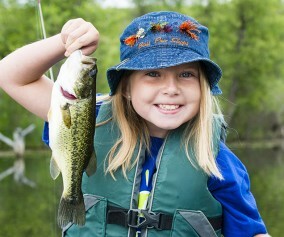 Anglers can take their kids out to catch some “sunnies” on just about any small body of water in Nebraska. Our state can produce numbers of 8-inch and larger bluegills as well, and there will be a bunch of waters that will do thatthis year. Small- to medium-sized reservoirs across Nebraska offer some of the best bluegill fishing every year, with Summit, Yankee Hill, Maskenthine and Maple Creek topping that list in 2019. Ponds like Baright at Mahoney State Park, and Yanney in Kearney also will be good spots to catch some nice bluegills. 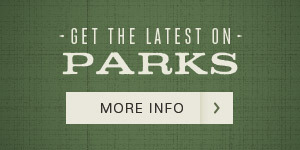 Anglers are reminded that all fish must be released while fishing at Baright. Some other waters that will be good for 8-inch-and-larger bluegills will be Willard Meyer, Lawrence Youngman, Burchard and Box Butte. Nebraskaâ€™s Sandhill lakes offer lower densities of bluegills, but can produce some trophy bluegills, with the biggest fish in excess of one pound. Anglers should remember that bluegills that big are rare fish and worthy of having a picture taken and then returned to the water. 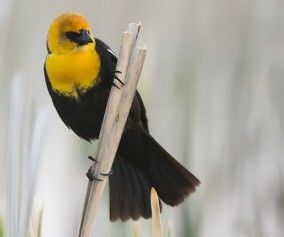 The best Sandhill lakes in 2019 will be Duck, West Long and Watts on the Valentine National Wildlife Refuge (NWR), as well as Frye. Crappies are another panfish that can be found in abundance throughout Nebraska, with anglers always on the look for waters that will produce fish larger than 10 inches. This year should be particularly good for crappie fishing in Nebraska with Sherman, Czechland, Wehrspann, Midway and Johnson reservoirs heading the list. Other waters that will be good for crappies in 2019 include Davis Creek, Holmes, Wanahoo, Wildwood and Wellfleet. Again Nebraska’s Sandhill lakes tend to have lower densities of panfish like crappies, but can offer some of the biggest, fattest, black crappies in the state; Home Valley, Island and Cottonwood-Steverson lakes will be the best of the Sandhills this year. Water bodies that offer stable water levels, clean water and an abundance of shallow water cover, especially aquatic vegetation, are those in which largemouth bass thrive. 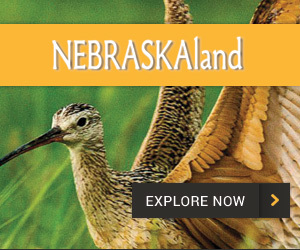 In Nebraska, small reservoirs, Sandhills lakes, pits and ponds tend to provide the best of that habitat. Some of those waters can have high densities of bass, which tend to produce excellent panfish fishing as largemouth bass keep panfish numbers in check. However, waters with lots of bass may not necessarily be the best for producing big bass. When looking at the sampling data for the best bass waters, those with the highest numbers of bass may not offer the best opportunities to catch fish larger than 15 inches. On the other hand, lower densities of largemouth bass can offer anglers the best opportunities to catch bass larger than 15 inches. Some small- to medium-sized reservoirs that will be particularly good this year include Wanahoo, Czechland, Wehrspann, Willard Meyer and Iron Horse Trail. 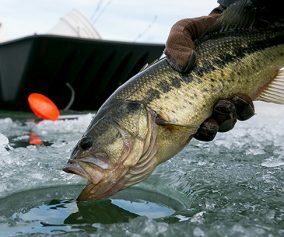 Carter Lake is not a reservoir, but it also will be good for green bass in 2019. Interstate lakes and public pits like those on the Alexandria State Recreation Area, Louisville No. 2, Bufflehead, Two Rivers No. 1 and Darr will also offer some excellent bass fishing in 2019.
in the state, and many Nebraska anglers have permission to fish at least one of those privately-owned waters. In addition, some private pits and ponds have been enrolled in the Open Fields and Waters program and are open to the public. Refer to the Public Access Atlas for those waters. 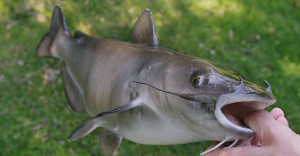 Channel catfish are a popular fish in Nebraska, and are found widely across the state. Sutherland, Branched Oak, Midway, Big Alkali, Enders, Pawnee, Powder Creek, Red Willow and Prairie Queen each will offer good numbers of 16-inch-and-larger channel cats in 2019. For 24-inch and larger cats, anglers should plan to fish Wildwood, Meadowlark, Willard Meyer, Burchard and Johnson this year. Voluntary catch and release of large, trophy catfish is a practice that should be considered by anglers on any Nebraska water as it takes years to grow channel cats to that size. Catch and release of catfish is required at Wildwood. For a different experience, do not overlook Nebraska’s warm-water rivers like the Missouri, Platte, Elkhorn, or Niobrara, as they also are excellent catfish fisheries. 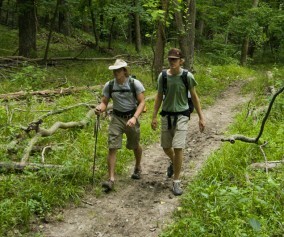 There are some areas where public access is available on Nebraska rivers, and, in addition, check out the Open Fields and Waters program for additional access to warm-water streams and rivers on private lands. Nebraska also has waters that support cold-water fish year-round where anglers can pursue a Trout Slam catching rainbows, browns, brooks, and possibly even cutthroats and tigers (brown trout/brook trout hybrids). Most of the cold-water trout streams are found in western and northern parts of the state; the East Branch of Verdigre Creek, Long Pine, Soldiers and Ninemile creeks are favorites among trout anglers. In 2019, the rainbow trout fishing at Lake Ogallala will continue to be good, and anglers might even catch some cutties from the White River in the Pine Ridge. Nebraska is still the “mixed bag capital of the world,” offering a variety of other fish that can be pursued. Learn more about these additional species below. Redear Sunfish – In addition to bluegills, Nebraska offers opportunities to catch other sunfish species like redear sunfish at Lawrence Youngman and Cozad. Smallmouth Bass – They can be caught at War Axe, Johnson and McConaughy, as well as the Missouri River in northeast Nebraska. Blue Catfish – They can be found in reservoirs like Medicine Creek, Pawnee, Swanson and Branched Oak, but look to the Missouri River in southeast Nebraska for the biggest blue cats in the state – some fish weighing triple digits. Flathead Catfish – These are another species of large catfish that can be found in the Missouri River, as well as in reservoirs like Harlan, Sherman, Branched Oak and the Tri-County canal system. All flatheads at Branched Oak must be released immediately after capture and anglers should consider releasing big flatties on other fisheries as well. Sauger – Fishing for this species will be best on Lewis and Clark Reservoir and the Missouri River in northeast Nebraska, but Johnson Reservoir and the Tri-County canal system also have good numbers of sauger. Saugeye – This is a walleye/sauger hybrid. Stocking is producing some excellent opportunities for anglers to catch them in Meadowlark, Willard Meyer, Pawnee, Big Indian, Iron Horse Trail reservoirs and Crescent Lake. Yellow Perch – In 2019, some of the best fishing for this tasty and popular panfish will be found at Crane, Atkinson, Island, West Long and Watts lakes in the Sandhills. is relatively new and has some pike habitat now. Remember that all pike are required to be released at Wanahoo. Bullheads – Some anglers scoff at the thought of fishing for bullheads, but there are others who specifically target “yellow bellies.” They are a great fish for beginning anglers as they almost always are willing to bite. Bullhead fishing will be particularly good in 2019 at Crescent and Cottonwood-Steverson lakes. Muskellunge – his “king of freshwater sport fish” also can also be found in Nebraska waters. To catch this trophy, toothy predator, anglers should target Merritt, Calamus and Wagon Train reservoirs, as well as Fremont SRA Pit No. 20, and Grand Island’s L.E. Ray Lake. 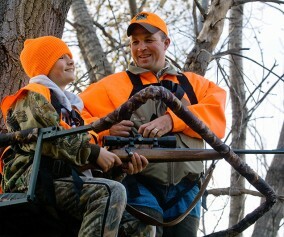 Each year, Nebraska Game and Parks publishes a number of guides and reports with regulations and sampling reports. 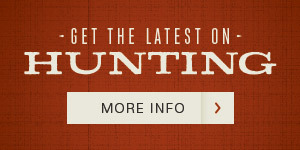 Visit our guide and reports page to view the current Fishing Guide, stocking reports, sampling reports and more.